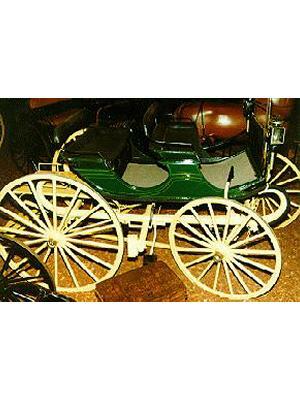 The Cobb & Co Museum displays Australia's finest collection of horse-drawn vehicles, and can provide expert advice on the history and technology of Australian horse-drawn vehicles. Training programs are available in heritage trades, and conservation and accessioning for museum personnel. The Museum provides skill based learning programs for preschool, primary, secondary and special needs students. There is an extensive range of Cobb & Co Museum merchandise, publications, education resources, heritage maps, photographs and posters available through the bookshop's mail order catalogue. A second stage was opened last in October 2001. Displays about Toowoomba - the range, the city and the people. Children's Discovery centre - the coach shop and Aboriginal language centre - Binargal. Temporary display gallery. 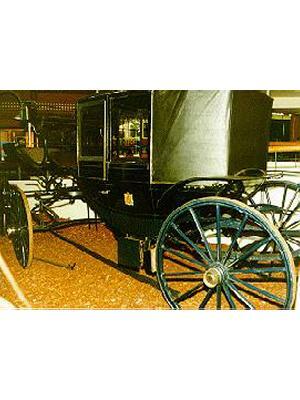 The Museum houses Australia's finest collection of Horse-drawn vehicles. Objects also held relevant to the natural and cultural histories of Toowoomba and nearby escarpment of the Great Dividing Range. 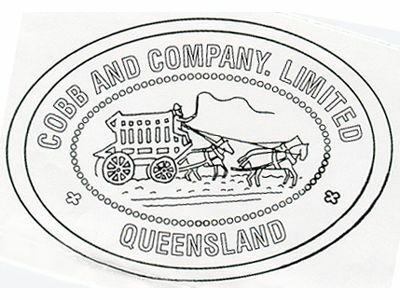 Cast iron embossing stamp and seal "Cobb and Company Limited Queensland". Cobb & Co. Queensland was incorporated as a separate company in 1902, with offices in Petrie Bight, Brisbane. 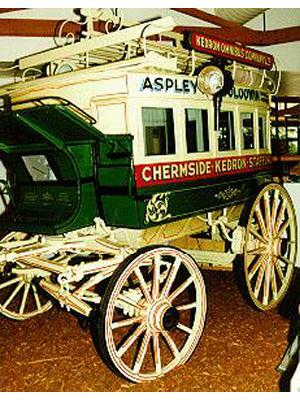 Royal style carriage, coachman driven with folding roof, glass windows. The Landau was used in the filming of the movie "The Eureka Stockade" in 1947. Horse-drawn buggy on leather suspension. Sir Joshua Peter Bell, owner of the 'Four-in Hand', was a squatter, politician and breeder of racehorses. Twenty five passenger vehicle, passenger inside and on roof seat. The Omnibus was built in Sydney, but brought to Brisbane in 1892 by Mrs Leah Morton for her family's omnibus business at Bardon. It was subsequently used in Brisbane's northern suburbs until1924. Eight passenger thoroughbrace horse-drawn coach. 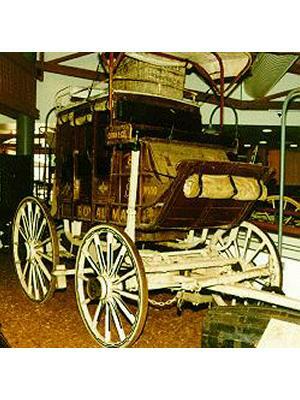 The coach was used by Cobb & Co in Charleville. It was subsequently transformed to a drover's wagon in the 1920s by removing the roof. It was converted back into a coach by Ferguson's coachworks, Toowoomba C1950.